We are entering the goofy grin phase. This is her idea of a smile. She asked, "Lily, are you?" 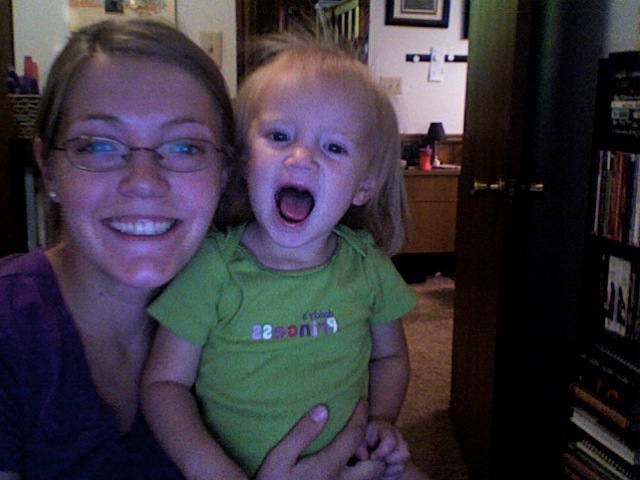 I told her we would find Lily, and I opened up Photobooth. I then told her to smile and this is what we got.